Andrew Lund is Chief Engineer of Hydrogen Fuel Cell system development for Heavy Duty Trucks. He is located at the Toyota Motor North America R&D center in Saline, Michigan. 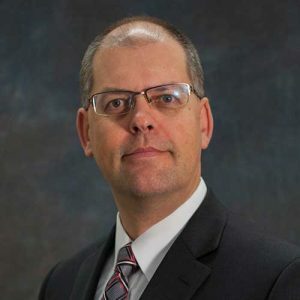 Mr. Lund joined Toyota in 1994 as Senior Engineer in the Materials Engineering Department’s Paint and Anti-corrosion Group, and was promoted to Manager in 1997. He transferred to the Product Development Office in 2000, joining the Sienna team as Program Manager. He was promoted to Executive Program ManageAr in 2004 and then promoted to Chief Engineer for the Sienna program in 2013. He was assigned to the One Toyota Competitiveness team in 2016 and then assigned to hydrogen fuel cell heavy duty truck development in 2017. Prior to joining Toyota, Mr. Lund was International Account Manager for Henkel Corporation in their Henkel Surface Treatments group and Teroson Automotive Products group. Mr. Lund serves on the Michigan Economic Development Fund board since 2017, serves on the Ann Arbor Hands-on Museum Board of Trustees since 2016, and previously served on the Saline Area Chamber of Commerce from 2009 to 2014, serving as President in 2013. Mr. Lund was born and raised in Japan. He earned a Bachelor of Science degree in Mechanical Engineering from the University of Michigan in 1985.